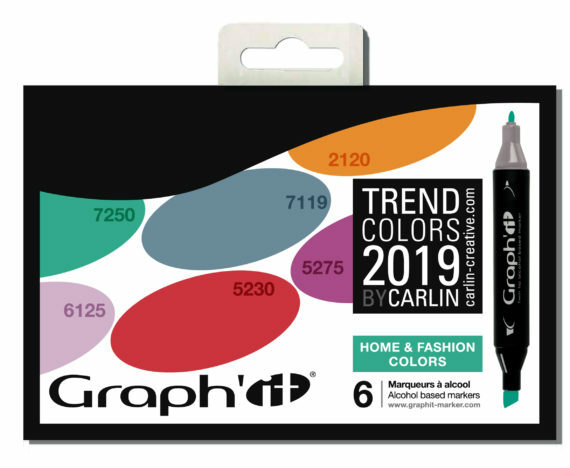 GRAPH’IT presents the edition of its famous annual Home & Fashion 2019 set in collaboration with the Paris trends office of Carlin International. This set includes the 6 colours that will mark the year 2019 in the world of fashion and design! Every year, the two brands join forces to offer a range of trendy colours. Available in alcohol GRAPH’IT markers, they become a must-have and a collector’s set! This diversity of colours promises a 2019 year full of happiness and creativity!